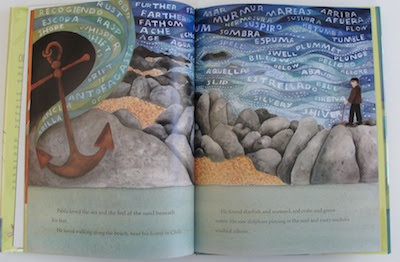 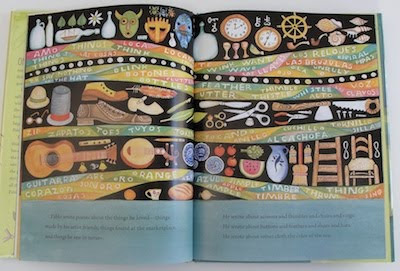 I LOVE this book written by Monica Brown and illustrated by Julie Paschkis. 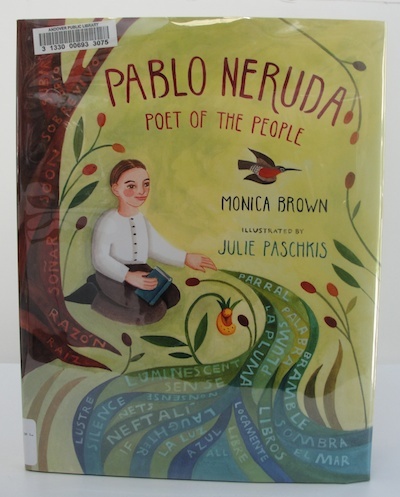 It's a beautiful story of poet Pablo Neruda's life for children and every page is a visual delight and a source of inspiration and contemplation. 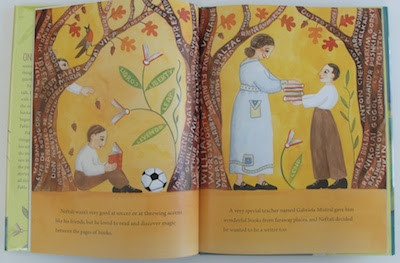 Once there was a little boy named Neftali, who loved wild things wildly and quiet things quietly. From the moment he could talk, Neftali surrounded himself with words that whirled and swirled, just like the river that ran near his home in Chile.